This short essay provides a nice overview of the Orthodox Church. One because our Lord Jesus Christ founded only one Church. and the operation of the Holy Spirit. 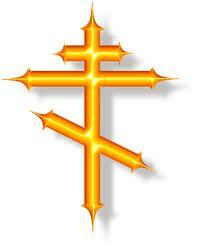 It is apostolic because it was founded by the Holy Apostles. Consider this an FAQ for inquirers into Orthodoxy. relatively modern times have non-Orthodox Christians rejected this belief. This historic document serves as evidence of the position of the Early Church regarding Infant Baptism. This is an important paper for those seriously inquiring into the Orthodox Faith. provides a nice framework to guide an inquirer through their first visit. A recent interview with a former member of the Anglican Church regarding his conversion to the Orthodox Christian Faith. This charming and short essay presents parents with the simple truth to raising a holy and God-fearing child. Often a focal point in discussions with the non-Orthodox, this paper uses scripture as the basis for debunking the belief against Baptism of infants. Written by Saint Hilarion, one of the countless new Martyrs of the 20th century. This treatise continues with his previous writings teaching about the relation of Scripture to the Church in a modern context. Saint Hilarion further helps the reader to understand that there is One Church and to be a Christian means to belong to the Church...The Church is the realization of Christ's love and any separation from the Church is a violation of this love. A classic work from an eminent Hierarch and one of the 20th century's most respected spiritual fathers may rightly be subtitled to "how to survive as an Orthodox Christian in the anti-Christian 20th century." Words of wisdom from Saint Cosmas of Aitolia in Greece. This is sure to illustrate clearly the Lord's second great command to love our neighbor. Orthodoxy is not merely a belief system, but a way of life.